Home » Historical » 20th Century » Hawes and Curtis Release Limited Luxury Silk Shirts! 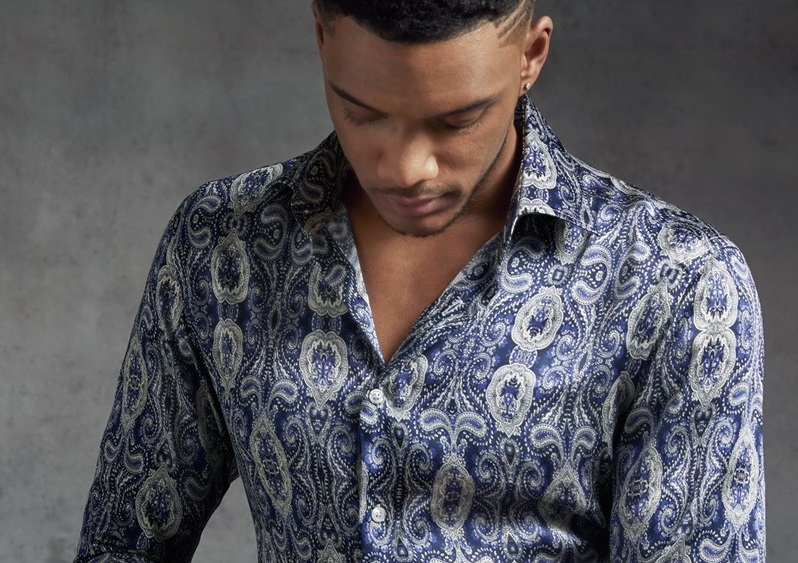 The renowned Jermyn Street shirtmakers Hawes and Curtis have unleashed a range of limited edition silk shirts in some incredible designs. “Cut from fluid silk, our exclusive shirts have a casual, unstructured silhouette and are made to hang loosely and freely,” said the iconic brand. “Perfect for the summer, our silk shirts are swathed in vibrant graphic prints and bright hues. Intricate paisley motifs and iconic knot patterns feature throughout the collection. Wear them with well-cut chinos and loafers for a luxe laidback look.” The lightweight and breathable fabric is extremely durable for an active lifestyle clad in stylish patterns. Meanwhile Hawes and Curtis’s classic collection of luxury men’s shirts still have the tempting offer of three for £90. Silk was first developed in ancient China with the earliest examples dating back 8,500 years. Legend gives credit for developing silk to a Chinese empress Leizu and silks were at first reserved exclusively for the Emperors of China for their own use. Its texture and lustre meant silk rapidly became a popular luxury fabric in the many areas accessible to Chinese merchants. In July 2007, archaeologists discovered intricately woven and dyed silk textiles in a tomb in Jiangxi province, dated to the Eastern Zhou Dynasty roughly 2,500 years ago.